WARNING: If you haven’t seen the film, you should skip this post if you don’t want any spoilers. For those who have seen the film… Was Thanos right about killing half of the Universe’s population? Honestly, I didn’t like the ending. However, that doesn’t mean it wasn’t good. Actually, emotions set aside, he might have a point. Though, I’m aware this might be a controversial opinion, I must say: Thanos is not completely wrong. As I said before, the best villains are always controversial. As a viewer, I was rooting for the Avengers to win. However, I couldn’t help myself to agree with Thanos on the side. Well, I guess villains always have the best arguments. By the way, is Thanos really a villain? I know he’s killing all the good guys, but he’s doing it for a superior cause (in his mind). As I see it, I don’t think he was getting all the infinity stones out of pure greed or lust for power. He genuinely believed that killing half of people from the Universe was the only way to make it a more sustainable place to live. Titan (his planet) became inhabitable due to overpopulation. Having said that, because resources in the Universe are limited, the number of people living in it should be as well. It sounds terrible, but this is how Thanos explains his motivations behind his quest to get all the infinity stones. Now, let’s dig deeper. Okay, he does have a point, his argument makes sense. However, is it right to do so? Does he have the right to kill half of people in the Universe because of his superior cause? As I see it, he has “good intentions”, but I’m almost sorry to say it’s not his decision to make. It’s not up to him to decide the course of life in the Universe, that’s like playing God. Though Thanos is a very powerful character, he’s not God. 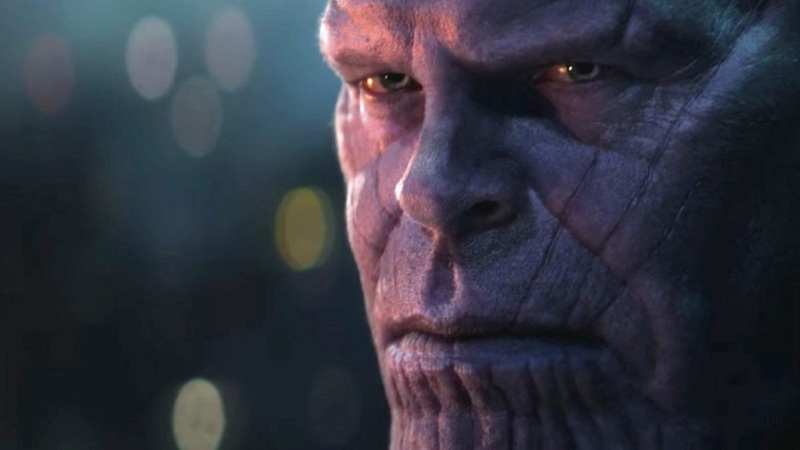 While Thanos is pretty much painted as a ruthless and heartless dictator in the film, one can see his vulnerabilities when he interacts with his daughter Gamora. In order to get one the infinity stones, he was asked to sacrifice the one he love the most. Like Gamora, I was almost convinced he was going to fail. Who could this monster possibly love? Turns out, he really loved his daughter Gamora. At this moment, I was conflicted. He got the infinity stone, but he was devastated with Gamora’s death. Actually, there are some similarities between Thanos and The Avengers: they are both willing to die for their causes. There’s a particular scene between Tony Stark and Thanos that made me believe that maybe, he’s not the real bad guy in this story. So, at this particular scene Tony Stark is already badly injured but Doctor Strange asks Thanos to spare Tony’s life in exchange for the infinity stone in his possession. Thanos complies and honours his part of the bargain. From my point of view, he didn’t have to do that. He could have easily killed Tony Stark and Doctor Strange and then get the infinity stone. But he kept his word, that says a lot about his character. Is there such thing as a honourable villain? Having said that, what’s my final verdict? I believe he has a point, but it’s not up to him to make such decision. Why Was “Wonder Woman” (2017) So Good?